is located far enough away to escape the stresses of city life, yet close enough to home to escape for an afternoon. 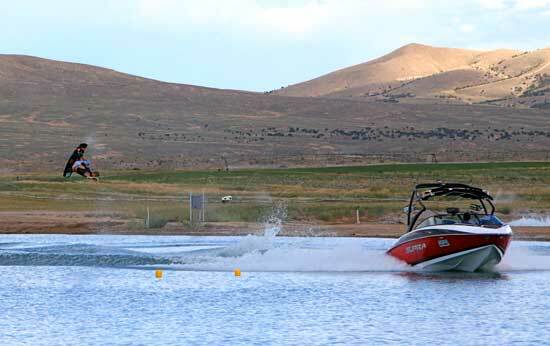 Located in Tooele County near the city of Vernon, the development is 2.8 miles West of where the Pony Express Road intersects SR-36. 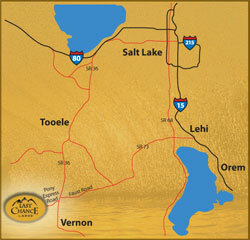 From the Wasatch Front, it can be accessed either from I-15 through Lehi or from I-80 through Tooele City. 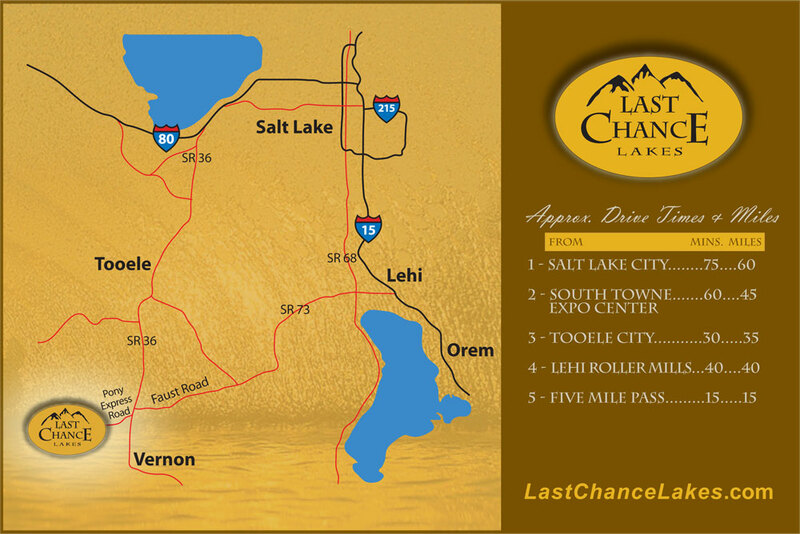 You will find the drive through the open planes of the Tooele Valley to be relaxing and invigorating. It is not uncommon to see wildlife such as deer, antelope, fox, and bald eagles along the way. Make sure to enjoy the entire experience.